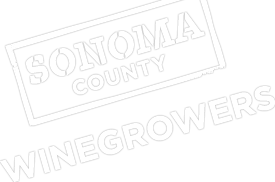 Last summer, the International Wine Review spent two weeks here in Sonoma County meeting with grape growers, winemakers, and other industry leaders for a major report on our region that the Sonoma County Winegrowers and Sonoma County Vintners supported. Their time and efforts have resulted in one of the most comprehensive overviews of Sonoma County every created – a massive 72 page report on our vineyards, our wines, and everything that has shaped our success as a wine region. The report is distributed to wine trade and media throughout the United States and globally.